Having one nose stud, ring or screw does it for most people but if you love to have an extra thrill, you may want to get double nose piercing. This article will explain what a double piercing is and describe the various double piercing options (including nostril and same side double piercing of the nose) you may have if you decide to go for it. And for the sake of inspiration, we have also lined up some double nose piercing pictures for you. Enjoy reading and exploring more about double piercings. What Is A Double Nose Piercing? Tattoos and body piercings are increasingly accepted in the modern society and having a piercing on your nose is a popular way of expressing one’s identity. Piercing of the nose in a typical sense involves having a single stud, ring or screw in one of the nostrils but that is hardly the only option. More and more people are finding creative ways to experiment with piercing while adding some thrill, mystery and excitement to this art form with double nose piercing. After all, most the piercing on the nose are rather thin gauge and this coupled with the existence of two nostrils makes it feasible to have a double piercing especially if the initial placement is done carefully. Double piercing of the nose styles range from side-by-side piercing whereby the piercings are located either on the opposite sides of the nostrils or on one side , and s eptum-and-nostril double nose piercing whereby one piercing is placed on the septum and the second one on the nostril. Whether you get a s ide-by-side double nose piercing (on nose side of the nostril, or one on either side) or a septum-and-nostril variant of double piercing of the nose is entirely up to you. Does this piercing on the different side look great? While some piercers might pierce the two holes at the same time, it is advisable to allow some time for the first piercing to heal before making the second one. This not only cuts down on the pain, but also minimizes the risk of infection. A new piercing on the nose takes 2 to 3 months to heal. If you plan to get a double piercing on your nose at a future date (or after the first piercing has healed) it is great to plan for it in advance by placing the initial piercing on the front or back of the nose to leave room for the second one. If planned carefully, a double piercings on your nose can help you make a stronger artistic statement and self-identity while accentuating your facial features. If you are the kind of people looking for something that stand out more than a single ring or stud, you may delight in having a double nose piercing on the same side of your nose. This typically entails a pair of rings or studs on the right or left nostril. Rings however take less space on the nose compared to studs and if you intend to switch between studs and rings occasionally, careful planning should be done to ensure compatibility of both of them. Having one piercing close to the nose tip and the other one close to the cheek will give the most options but if you prefer a more subtle effect, you might want to reduce the distance between the two piercings by placing them close together. After cleaning the inside of your nose with an antiseptic swab, the piercer will guide your decision-making process by making two small dots on your nostrils with a marker. The piercer will move the dots around and vary the distance between the two until you like the results after which she will then proceed to pierce the hole(s) with a piercing needle. It is better to avoid having the two piercings done consecutively and instead make the second piercing after the first one has healed in order to minimize the pain and chances of infection. 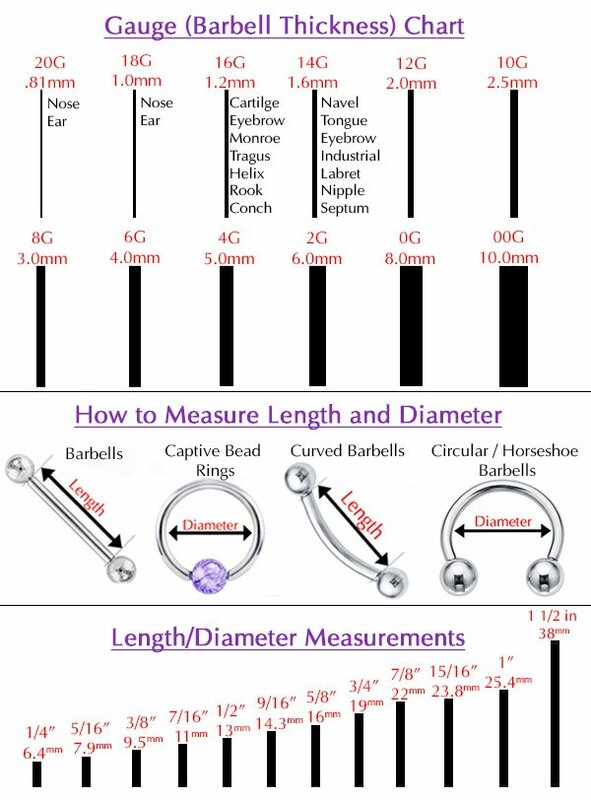 For best results with studs in as far as double piercing is considered, some piercers recommend using studs of different sizes and placing them slightly apart. Some piercers will make the two piercings on the nostril consecutively, but as with any other variant of double nose of the nose, the second piercing should ideally be done after the first one has been allowed some time to heal. It is our sincere hope that we have covered much of what you would like to learn about double nasal piercing. It is now up to explore the enthralling world of piercings on the nose if you feel that this art form is for you.